No one really expected it to last long. We know we didn’t. We suspect Econet itself didn’t even plan to. We think it was more getting a message across to NetOne stakeholders (mainly the government of course) what Econet is capable of doing if its hand is forced. After a whole day of total disconnection of interconnection services between the two mobile networks, Econet has restored interconnection services to NetOne. The reversal of the termination was, according to the Herald newspaper today, made last night after NetOne challenged the decision at the High Court. The paper says Econet reversed the decision after a a Justice Ben Hlatshwayo “expressed concern about the inconvenience caused to the public. No court order however was issued however for the restoration of services. 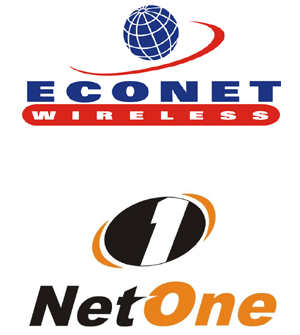 We have made some calls today from Econet mobile phone numbers to NetOne numbers and the interconnection has indeed been restored. Despite the restoration a NetOne lawyer, Collin Kuhuni, apparently says the legal battle is not over as, according to him, Econet’s decision to terminate interconnection with the state owned mobile operator “unilaterally” was illegal. The interconnection of services between networks is a legal issue and Potraz is dealing with it. We cannot usurp Potraz’s powers because they have a legal provision to deal with the matter. We will talk to Potraz first before we comment. NetOne itself has issued a statement in the print press locally and we will be publishing it here shortly. Check back. Update: Here’s the full text of the NetOne public notice.